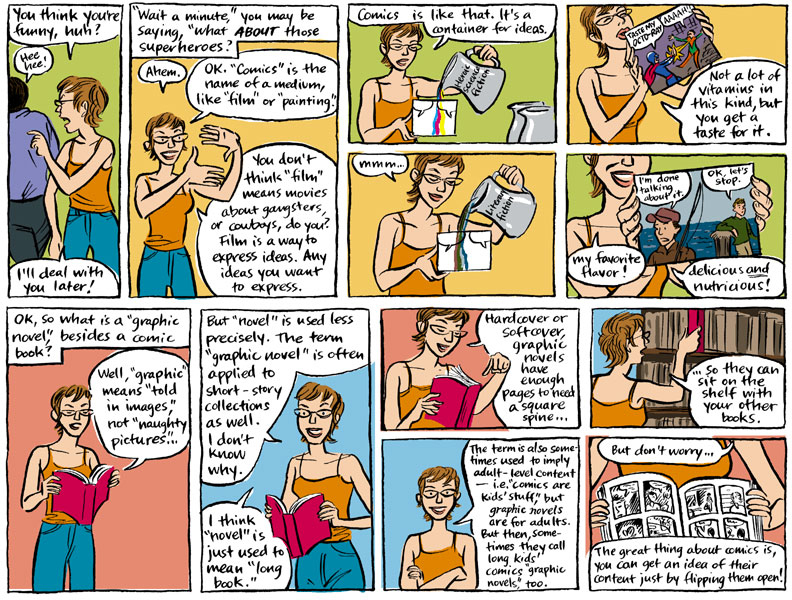 A guide on graphic novels and where to locate them. 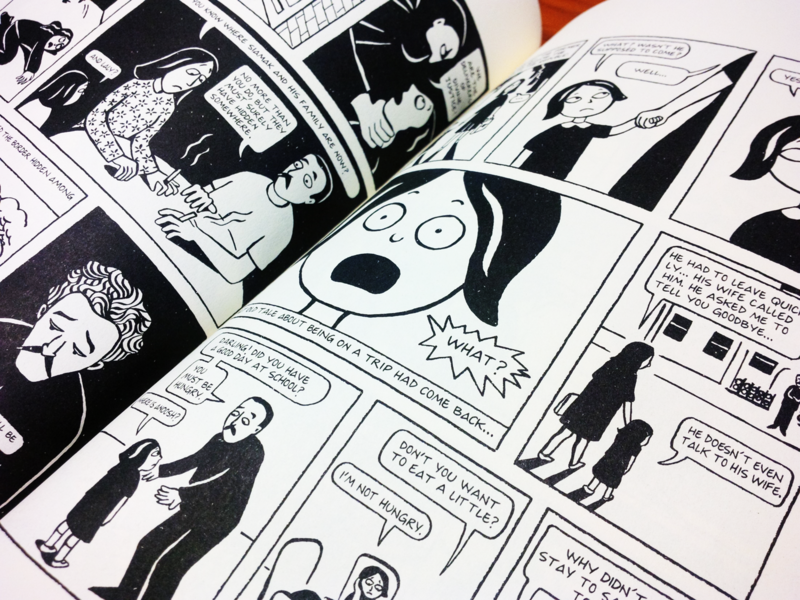 Did you know that Persepolis, the Common Book in 2008-2009, was a graphic novel? “Despite the name, not all comics are funny. Many comics and graphic novels emphasize drama, adventure, character development, striking visuals, politics, or romance over laugh-out-loud comedy” (The ipl2 Consortium). The first graphic novels appeared in the United States between the late 1970s and mid 1980s, but the format did not reach mainstream audiences until the rise of Japanese manga (an umbrella term for several types of graphic novel in Japan). Today, the popularity of graphic novels has increased, along with their availability in bookstores and libraries. Most (though not all) graphic novels in the U.S. began as superhero comic books, but many original and intellectual works have also arisen in graphic novel format, including memoirs, classic literature, and textbooks. In the twenty-first century, graphic novels have become a respected from of literature for librarians, educators and scholars alike. 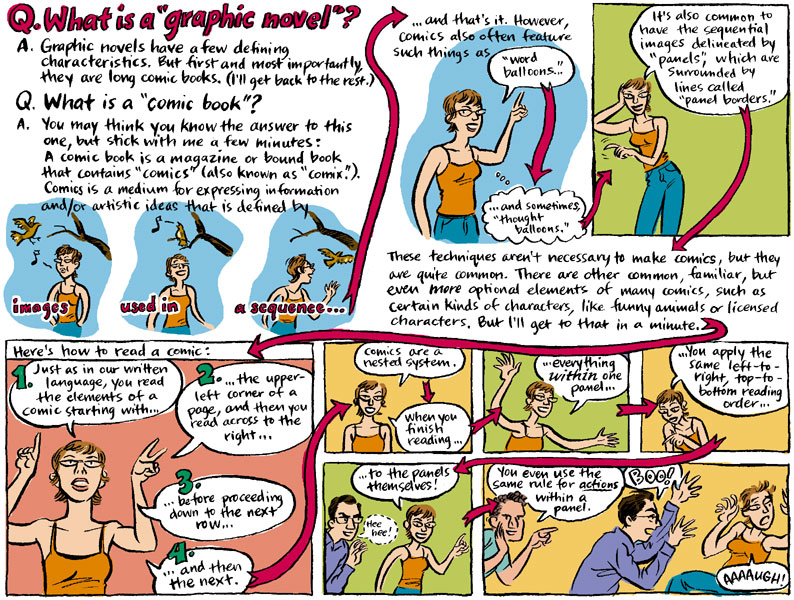 For more information on this growing phenomenon, read on about graphic novels in education and discover the library's collection. Rogers, Michael. "About This Volume." Critical Insights: The Graphic Novel. Ed. Gary Hoppenstand. Hackensack: Salem, 2014. Salem Online. Web. 28 Oct. 2015. The ipl2 Consortium. “History and Basics.” Graphic Novels. Ipl2: Information You Can Trust: POTUS. Ipl2, n.d. Web. 29 Oct. 2015. "Comic books have long had a reputation for being disconnected from legitimate educational concerns. They were supposedly fluffy things, good for a laugh at best, agents of desensitization and proponents of violence at worst. Thanks to the graphic novel, educators and librarians are gradually finding that not to be the case. Professionals I have spoken with are astonished and delighted to discover that the history of the comic book is the history of American culture (and not just popular culture); that the medium’s development reflects our own cultural growing pains over the last century; and that it defines certain aspects of the American psyche more trenchantly than any other art form around." --Jesse Karp, "The Case for Graphic Novels in Education." American Libraries. By Jessica Abel. First published at Artbomb.net.